"You do not know her." "Yes, I am pretty sure I do, " was my mother's reply. This piece of the conversation was a banter between us on whether or not my mother really knew a reality television star through a mutual friend. I had unintentionally created this conversation by discussing a lady who was featured on National Geographic's show, "Life Below Zero". I explained to my parents I was very impressed with a person who lived 80 miles from the nearest human contact, in arctic conditions, and stranded for nearly 9 months out of the year. If you follow the TV show you probably understand I was describing Sue Aikens. My mother further insisted she knew a family member of Sue's and I dropped the issue, choosing to believe that it was not truly as small of a world as some believe it is. I had promptly forgotten about this conversation, until my father called me the day before my last birthday. He gave me specific instructions to answer my phone the following day if an unknown number should call. I am suspicious in nature, and this was probably sound advice, as most telephone numbers that I do not recognize either receive a gruff greeting or a swift ignore. I was, however, intrigued by his fervent suggestion to monitor my phone. I was reminded of past birthdays when I was a small boy, and he somehow arranged for both Donald Duck and Mickey Mouse to telephone me with birthday wishes. I would of course learn many years later that it was not actually Donald or my good friend Micky, but a co-worker of my fathers who had excellent voice acting skills. Nonetheless, I dutifully answered the telephone when it sounded it's electronic warble the following day. The voice on the other end was not that of a shrill cartoon, but the distinctive one of Sue Aikens, owner/proprietor of Kavik River Camp, and previously discussed national television star. I was certainly wrong, it is a small world. Sue was calling to wish me a happy birthday and after her wishes we struck up a conversation about hunting and life outdoors. It was a great birthday present and I would have to say a rather classy way for my folks to serve me a large slice of humble pie. The telephone call was great and it certainly scored high on the cool factor to talk directly to Sue. What I did not expect was a chance to meet her. Two month later my parents further informed me that we had an opportunity to go to Kavik and hunt caribou this summer. They actually asked me if I was interested....I think what they really meant was if I was going to be able to afford it. I believe both Dante's Inferno and the Sahara desert would freeze over if there ever came I time when I would reply no to such a proposition. As such, this post is about how in less than five weeks I will be boarding several planes, the last of which will touch down on the very runway I have seen in so many episodes of the show. To say I am excited could probably go down as the understatement of the last century. Beyond the introduction to the hunt, I want to begin this series of posts about this upcoming adventure, and take you, the reader, along with me. If anyone is interested in their own adventure at Kavik River Camp, the website can be found at http://www.kavikrivercamp.com/. Remember the 6 Ps!!!! This was yelled at me several times throughout the training course for my career. For those unfamiliar with the 6 P's, it is short for Prior Planning Prevents (insert another P word commonly used to describe urine) Poor Performance. I will admit that I tend to live by this mantra when it comes to hunting and certain aspects of life, although I don't have the planning bug to a degree as one hunter I knew who would plan every detail of a hunting trip down to what he would eat for each meal of every single day. I have been planning this trip now for several months, and as the departure day quickly approaches I am in full preparation mode. I have solutions to many of the logistical challenges I believe I will face, but whether they are truly overcome I will not know until I the moment arrives. I have read many articles on Alaska hunting and several preparation guides. There are three major logistic hurdles I have crossed so far that I would like to detail my plans for. If anyone out there in the electronic internet land reading this has seen these issues before, feel free to comment for my betterment, and that of others. I tried eating Caribou once. When I was much younger I accompanied a classy lady to an elegant restaurant. To my elation, the fare listed caribou. I was amazed at the flavor when the sizzling plate of medallion cut steaks arrived. It was better than any Elk I have ever had, and Elk is by far my favorite game meat. One of the highest priorities for my Alaska trip is getting the Caribou meat home in edible condition. After several internet searches I was surprised to find little information on the subject. Some hunters spoke about shipping it, or driving it home in freezers. After a few calls to FedEx and UPS I learned that they would only ship meat 2nd day air from Fairbanks. I am planing on bringing two 100 pound coolers back to Colorado with me. The cost to ship just one 100 pound cooler? $600. This effectively removed the shipping idea. Next up was sending it freight, packed in dry ice. The cheapest freight quote I could find was $300 per 100 pound cooler, with a 5 day delivery window. I am very nervous about the meat serviving 5 days, and the last thing I want to do is pay $600 for two coolers of rotting hard earned bounty. My last idea was to pay the airlines to fly the meat home as baggage with me. A quick check of Frontier's website (http://www.flyfrontier.com/customer-service/travel-support/baggage/checked-baggage) revealed that this is more common than I thought. 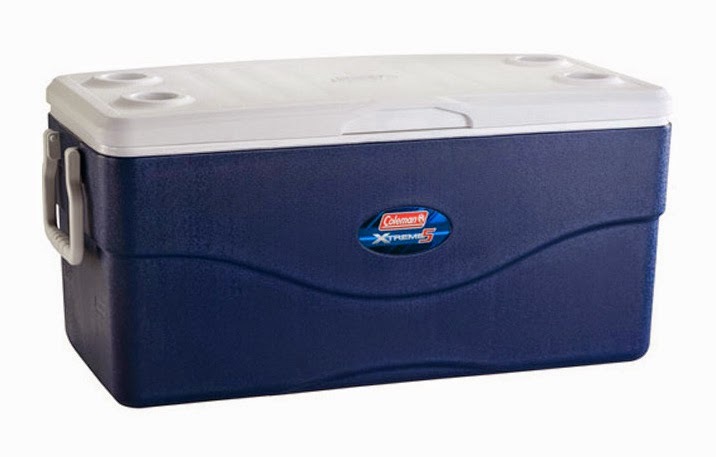 The fee for a 100 pound cooler under 110 linear inches, is $150 in overweight and over sized baggage fees. $300 is an excellent price to pay for 200 pounds of meet. One would think that would make the meat about $1.50 per pound. However, by the time I add in the complete cost of the trip, I will be putting a $28 per pound steak on the grill. That is completely fine with me. Yes, the meat is a portion of why I hunt, but the experiences, the land, and memories with family and friends are priceless. This would seem to be an easy task, right? Put the bow and rifle in a double rifle case, lock it, and then check it into baggage after a firearms declaration form. The challenge that presents itself is that the longbow is 62" long and is a solid one piece bow. Take-down longbows just never felt right to me. I scoured the internet searching for a double rifle case that was at least 63" long, and after an hour of fruitless searching I am pretty sure it does not exist. 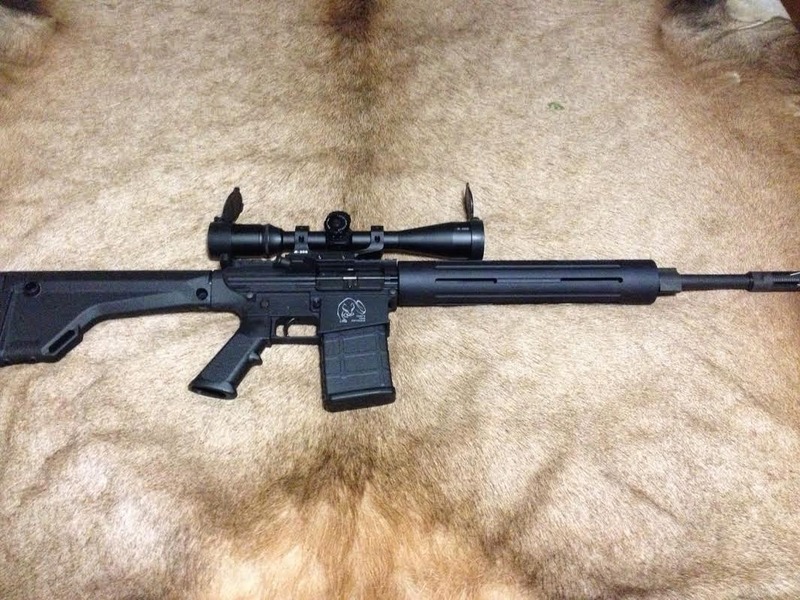 The closest I could find was a 60" case for a .50 Caliber BMG Barrett rifle, and even if it was long enough, I was certainly not paying $460 for it. It is also true I could fly them separate but then I would be subjected to two additional baggage fees. Another traditional archer mentioned the use of a ski case he used to travel with his bow. While this would not accommodate the AR10, at least it would get the bow there. This all changed when I discovered the Sportube, which is a hard plastic case used to transport skis, and it adjusts in length from 48-83 inches. There are several models of the Sportube, and the one that held two sets of skis seemed to be the best fit for me. I could easily get the rifle, bow, arrow tube, several fishing poles, and maybe even my gillie suit tucked into this one piece of luggage. The beauty of it all? Frontier does not charge overage fees to fly ski equipment. Of course I am certain that will all change when they learn there are not actually skis in the case. The price for this piece of plastic wonder was $200 and a tad out of what I wanted to spend on a case. A little luck landed me a slightly used version off of eBay for only $99. It arrives tomorrow, and I can not wait to try it out. 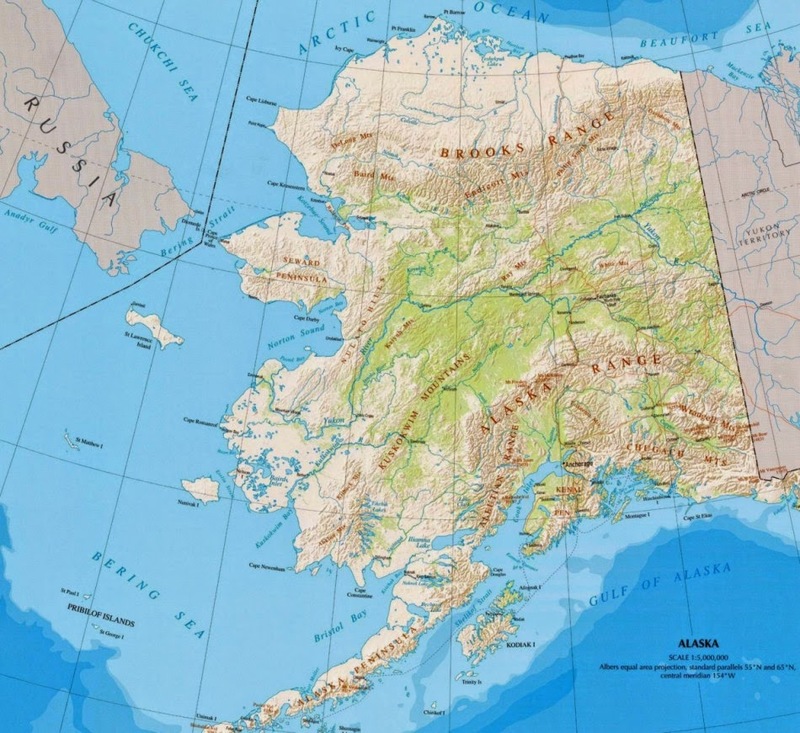 Let's face the fact that I am flying to Alaska, and to then taking a Cessna Caravan to Kavik River Camp. I simply can not take the proverbial kitchen sink. At the same time I must balance what is truly necessary with what is luxury or optional. Furthermore, it is not likely that there will be a friendly neighborhood outdoor store around the corner from the middle of nowhere. Items left behind will either need to be replaced in Fairbanks or simply done without. To help with this I have created a gear list for myself. This list is designed to be purposefully down to the minutia. This is the third edition of the list, and I am certain there will be a forth and possibly a fifth. If you see something I am missing, feel free to contact me. -2 boxes of 1 gallon storage bags. -Go pro with charging cords and mounts. -Wallet with all ID’s, and money.